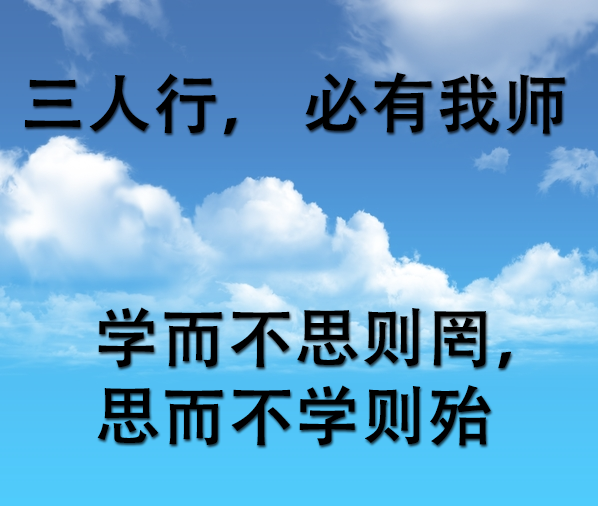 This well-known Chinese idiom is literally translated into English as "When I walk along with two others, from at least one I will be able to learn" (James Legge). Nowadays, this wise saying is commonly interpreted as "You have something to learn from everyone". The idiom derives from "The Analects" which is one of the most important texts of Confucianism. This famous collection of ideas attributed to Confucius is thought to have been written by the philosopher’s followers. One of the fundamental topics of "The Analects" is the importance of learning and education. According to Confucius, a good student is one who learns from what his teacher says and does. Actually, he never "lectured" about any subject (at least, there is no such evidence in "The Analects"). Instead of this, the students asked him questions, and he answered, citing the classics and using analogies.